Personal coat of arms of King Felipe VI of Spain. 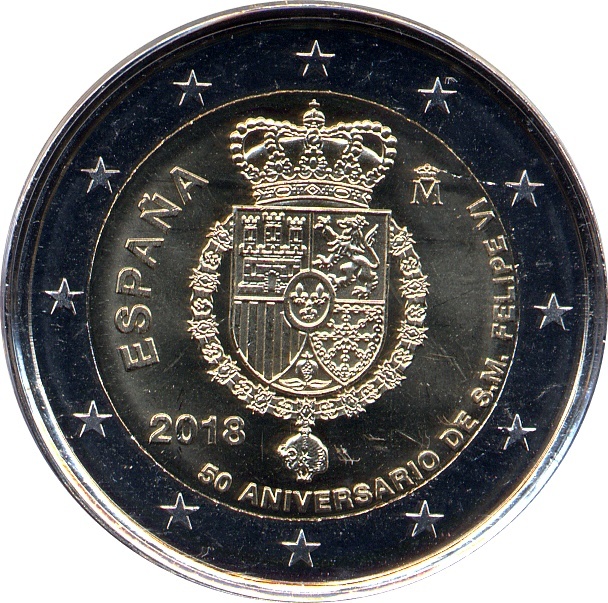 To its left, the word ESPAÑA and the minting year 2018, and below, the mint mark. 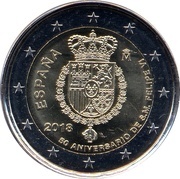 In the lower right zone, the legend "50 ANIVERSARIO DE DON FELIPE VI" Around all the motifs and legends, the European Union twelve stars. The facial value, next to a map showing the European continent without borders. 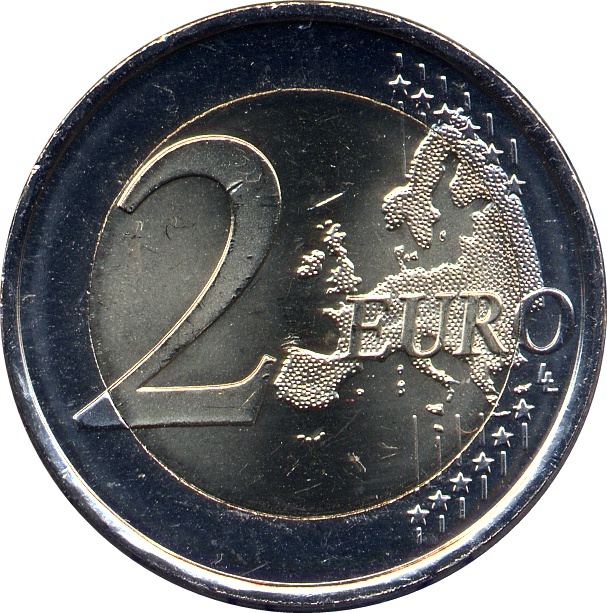 Reeded with inscription: the number "2" and two stars, repeated six times alternately upright and inverted. Legal framework of the coin established in the Order EIC/863/2017, of September 5th.